Following our recent posts featuring answers from Olaf Meier of SMWS and Jim McEwan of Bruchladdich, we now move swiftly onto Part 3 which features answers from Ann Shackell the Facilities Co-ordinator at the Deanston Distillery. When did you first get involved in the Whisky Industry and why…. maybe it was a calling from the angels, or your family were already involved? A. I applied for a job at Deanston as a Facilities Co-ordinator and was intrigued to find out what that was!!! If you weren’t in this industry where would you like to be and what would you be doing? Remember you are in the real world you still need to be making an income. So far what has been your proudest moment in the Whisky Industry? Do you have a favourite Distillery, which one and why? A. 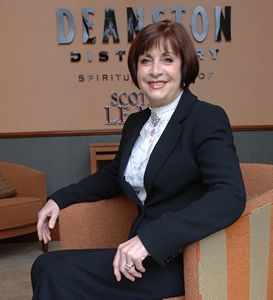 My favourite is the Deanston Distillery, where I work, as I love the friendly atmosphere and the fact that everything is made by hand. Where is your favourite bar / pub for drinking your favourite Dram, and who would you choose to be with you? A. My favourite pub is the ‘Lion and Unicorn’ in Thornhill, Stirlingshire and I would like to share a dram with George Clooney! 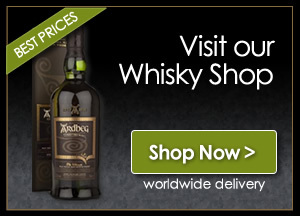 Has there been a Whisky recently that has surprised the hell out of you? A. Deanston 12 Year Old – it never ceases to surprise me as it caters for all tastes and nobody ever says they haven’t enjoyed it. Win with Ballantine’s – hide & seek!